SKU: 10802. Category: TREAT LINE. The unique Treat 2 table for manual therapy and for naprapathy and chiropractic specialists. 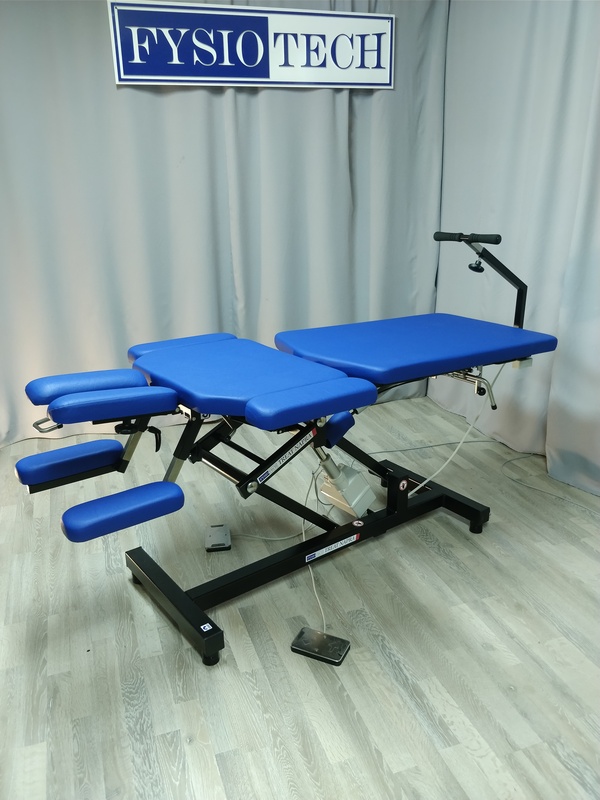 Is equipped with a system of pneumatic drives which adjusts the position of chest and foot sections, making the work of a specialist much easier. 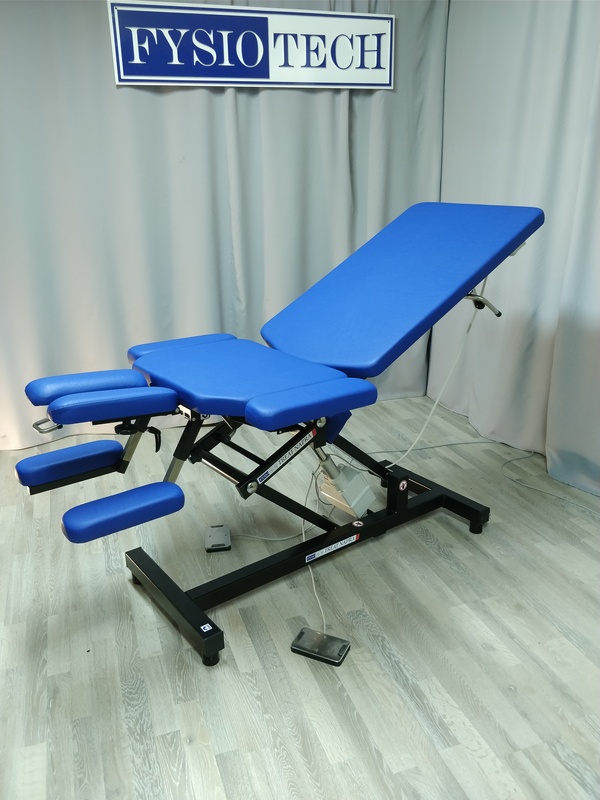 The foot section has a rotating function on three planes. Standard frame colour – white. 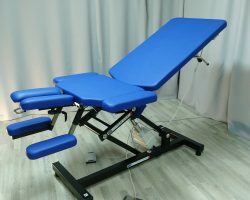 Tables included in the new Treat line are meant for manual therapy and are su itable for massage therapists, naprapaths and osteopaths. 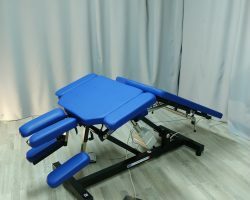 Due to the special structure of these models, the position of the body of a patient changes when he or she is laid on the table. 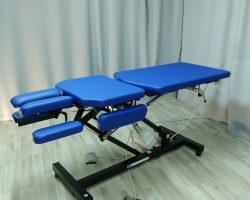 Different positions of the table provide an opportunity to give a deep and high-quality massage with a maximum level of comfort both for the patient and the doctor. 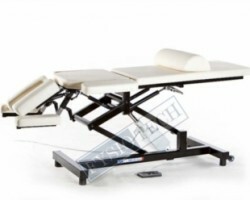 This model range includes tables with electric height adjustment. 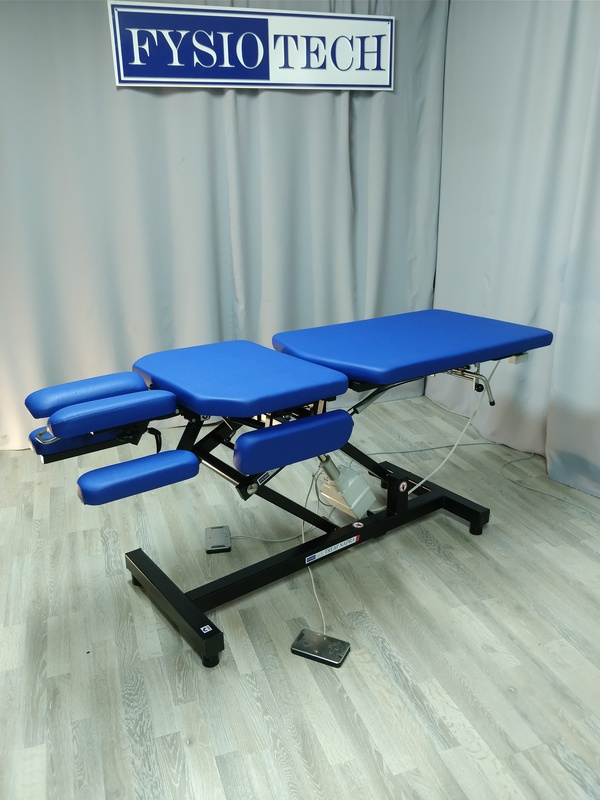 Tables are equipped with front arm rests and reinforced side support for the arms and head. The tilt angles of the face section, middle section and leg section are adjusted by gas springs. 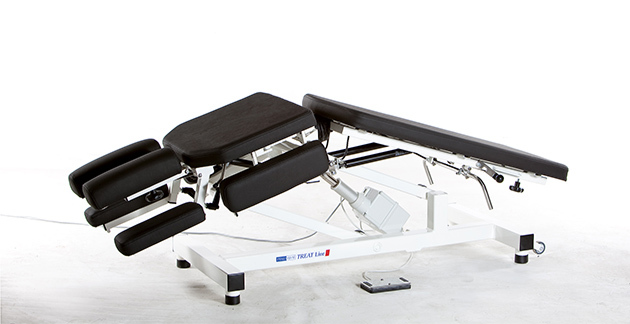 Maximum load bearing capacity – 350 kg. 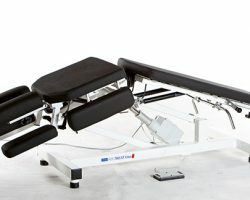 For more convenient usage you can choose a handle for foot section manipulation in three planes, a second pedal for the motor (operated by foot) or magnet equipped hand pedal from the list of additional equipment, add width or thickness to the soft part of the table, or select a different colour for the frame. 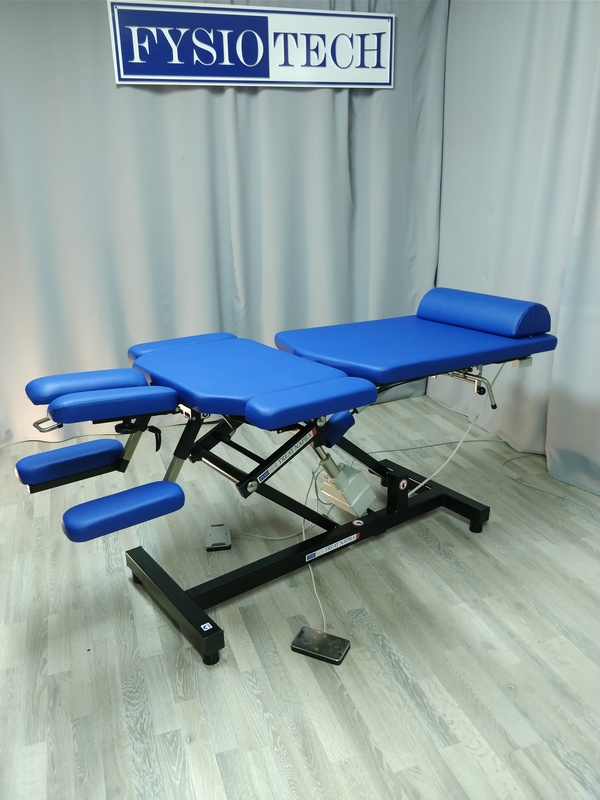 The soft part of the table is made of artificial leather, specially meant for medical purposes. 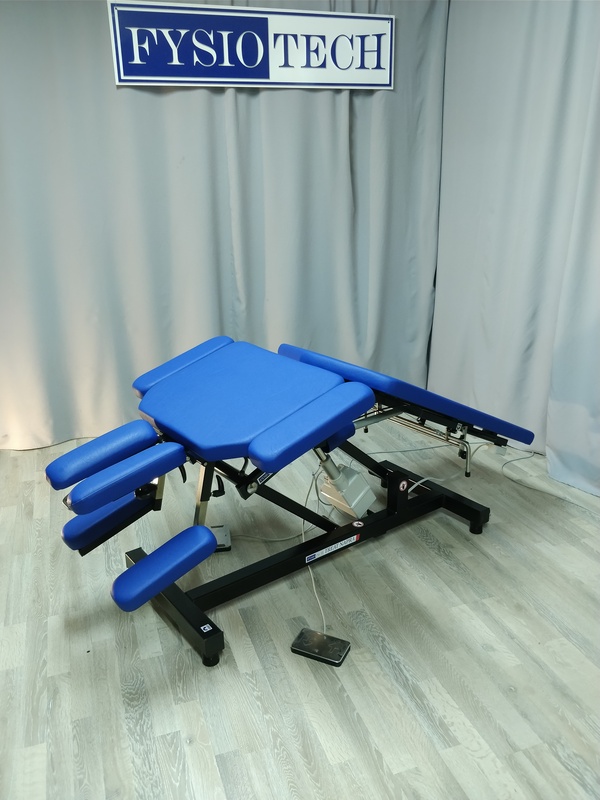 The tables have been manufactured from high-quality materials provided exclusively by European producers. 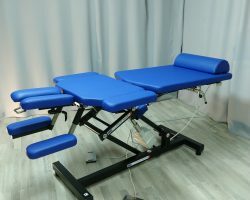 All of the aspects mentioned above as well as the modern design of massage tables and their ease of use, ensure high quality and comfort, both for the work of the professional and the well-being of the customer, even in case of longer procedures.